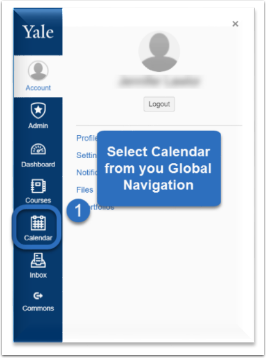 In Canvas @ Yale, you will be able to set your office hours through the calendar within the Global Navigation. 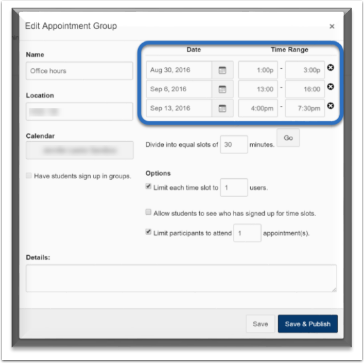 You can set up one office hour scheduler for all your classes or for each class separately. 1. 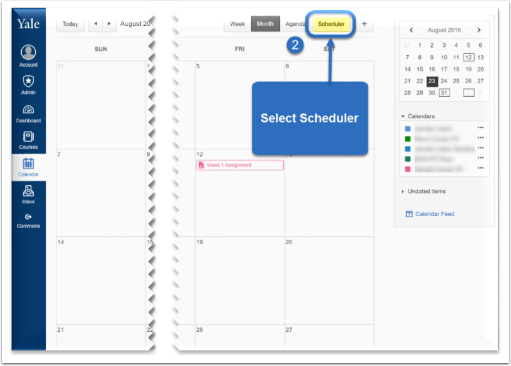 Click on the Calendar within the Global Navigation. 3. 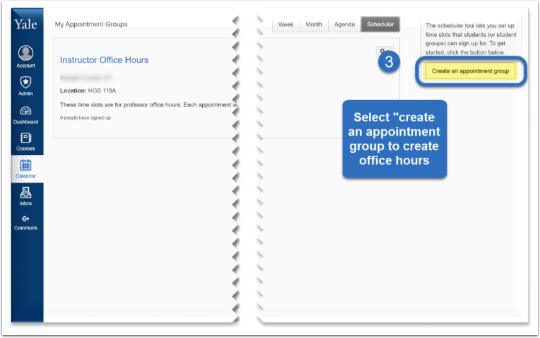 Click on “Create an appointment group”. 4. You will then see this appointment group editor. 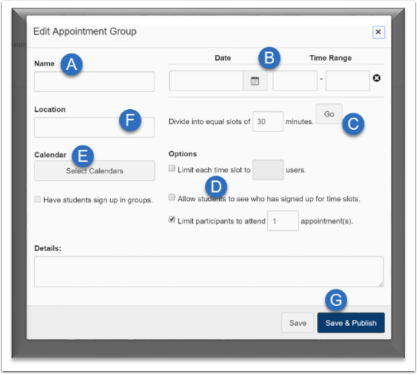 E. Select 1 or more class calendars for this office hour to be available. 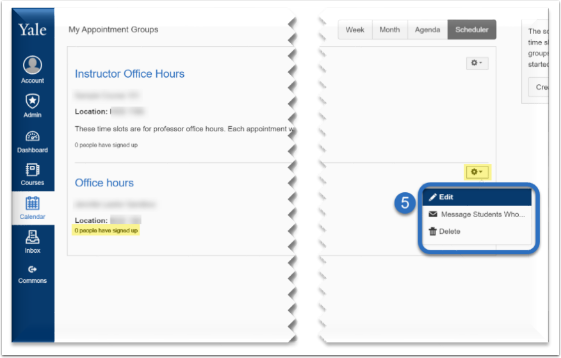 G. Save Publish to make it visible to students. 5. You can see how many people have signed up and have the ability to edit the office hours or message students who have signed up for slots. * You will need to pick each time and date as there is no reoccurring option (See below). ** You will be able to view all the slots once you click “Go” and will have the option to delete some of these increments if necessary.